Four Chicago soccer players were among the athletes coming home Monday. They won bronze medals. 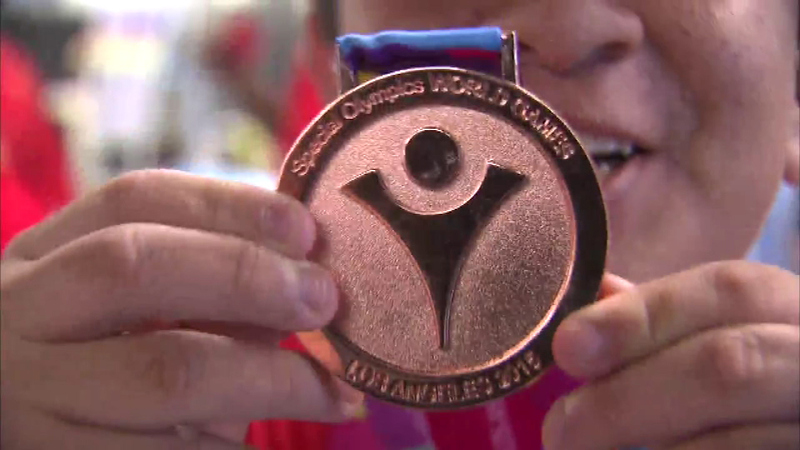 CHICAGO (WLS) -- Some Special Olympics athletes from Chicago are celebrating a big win. Family and fans greeted the Special Olympians with hugs and cheers at O'Hare Airport as they returned home Monday from the L.A. World Games. Four Chicago soccer players won bronze medals.